Born: 16th August 1883, Norwich, Norfolk. 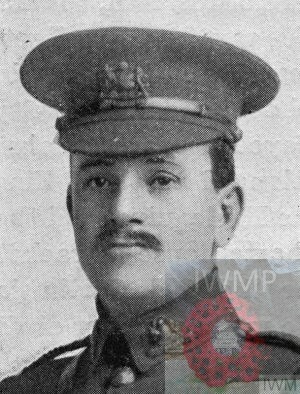 Died: 12th March 1915; age 32; KiA -killed instantaneously by shell while leading his men at the Battle of Neuve Chapelle, France. William served in the ranks of the Suffolk Regiment, and for his gallantry at Mons, when his superior officer having been disabled, he took command of part of the battalion, and brought back 200 men to safety, he was mentioned in Sir John French’s Despatch of the 8th October 1914. He received his commission as 2nd Lieutenant, in December, 1914, from the rank of Company Sergeant-Major. Regiment: Manchester Regiment, 1st Battalion. Relatives Notified & Address: Husband of Mrs Curtis, of 6, Rothsay Mount, Holbeck, Leeds, Yorkshire. 1891 33, Albion Place, Ipswich. William was 9 years old and living with his parents & siblings. Ephraim William Curtis, 38, a Dock Labourer, born Monk Soham, Suffolk. Sabina Curtis (nee Moyse), 30, born Monk Soham. (Cissy) Chrissana Curtis, 7, born Ipswich. Ambrose George Curtis, 5, born Monk Soham. Alice Maud Curtis, 3, born Ipswich. 1901 Garrison Military, Colchester, Essex. William was 19 years old, a Soldier ranked Private in the Infantry Militia. William was 29 years old, a Lance Sergeant, for the 2nd Battalion of the Suffolk Regiment. On the 16th October 1912, at St. Luke’s Church, Holbeck, Yorkshire, 31 year old, William, a Soldier at Barrosa Barracks, Aldershot, married 31 year old, Mary Ann Phillips, of 6, Rothsay Mount, Holbeck, Leeds, Yorkshire, born 3rd December 1880, Leeds, Yorkshire. Vera Annie Curtis, born April 1915, Leeds, Yorkshire. William was educated at Ipswich. He excelled in cricket and football. Soldiers’ Effects to Mary Ann Curtis – widow. William is also remembered on the war memorial at Holy Trinity Church, Ipswich.